Expectations: With David Lee off the roster and Andrew Bogut getting older and constantly having injuries, this was the year for Festus Ezeli to shine. He was also on a contract year, looking to make as much money as possible in what’s become an even more money driven league. 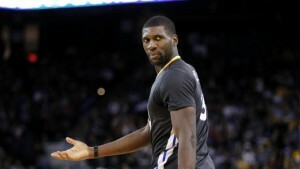 Ezeli has had his setbacks with injuries in the past and it’s bothered him tremendously to start his career. Regardless, this was the year for Ezeli to show why he can either be the Warriors’ center of the future or another forgotten big man in the history of the franchise. 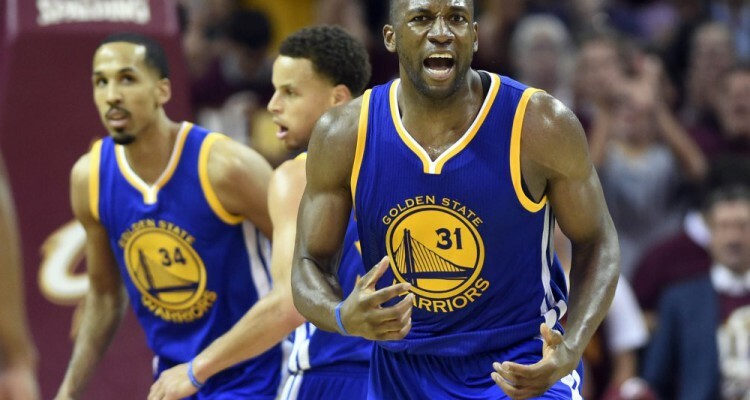 Reality: The start of the 2015-16 campaign treated Ezeli well. He averaged 9.2 points, 6.5 rebounds, and shot 52 percent from the field in December. 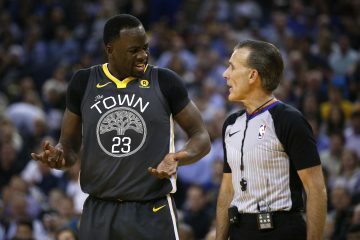 Many considered him the center of the future and fans were calling for him to get more playing time than Andrew Bogut. 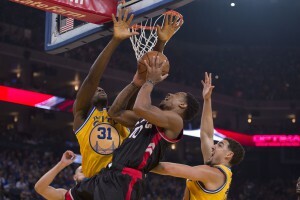 Ezeli looked athletic, he had a smoother touch near the basket, and his putback dunks were ferocious. For a moment, the Warriors had a legitimate center and seldom had to play 4 on 5 on the offensive end of the ball. Unfortunately, Ezeli had yet another injury concern. He went on to miss the end of January, the whole month of February and March yet the Warriors continued to cruise without him. In what was a monumental start to the season, the 7 footer from Nigeria hit another low. Ezeli came back and was never the same player. He played six games before the postseason and it clearly wasn’t enough to get him back on track. He regressed as the season went on and his confidence hit rock bottom. 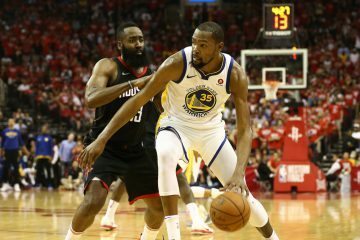 Steve Kerr refused to play him during several occasions and he never had another solid chance to redeem himself until the postseason started. He played well in certain stretches, especially against the Portland Trail Blazers. He was unable to keep it up, though. Ezeli had the worst performances of his basketball career against the Cleveland Cavaliers. Andrew Bogut went down for the final couple of games of the series and Ezeli ended up starting in the most pivotal game in Warriors history. He failed to match Tristan Thompson’s energy and skill. 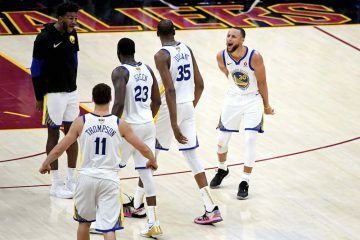 Kerr wound up playing Ezeli too much and it wound up costing the team another NBA title. In what will be a play Warrior fans will fail to forget, Ezeli bit on LeBron James’ pump fake from beyond the arc in the final few minutes of Game 7. James went to the line and the Warriors were never able to recover. He gave the team nothing on the offensive end and became a liability on defense. Ezeli could barely catch the ball and his hands are some of the worst the league has ever seen. There was no reason for him to be in the game as much as he was, especially during the final stretch. People will forget his good play to start the season due to how much he struggled after the injury. Future: There were rumors that the big man would be getting a huge offer from the Lakers, somewhere in the 50 million dollar range over the course of three years. It’s still possible that he does get that kind of money in today’s league. Hassan Whiteside, Al Horford, Dwight Howard, and Joakim Noah all signed for $70+ million. 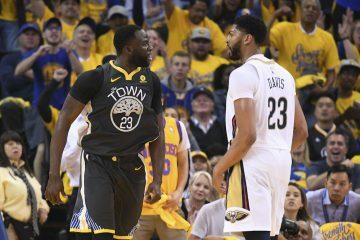 With the Warriors ironically drafting another Vanderbilt center with the 30th pick of the 2016 NBA Draft, it appears Ezeli’s days are over in Golden State. Yama is a Fremont resident and diehard hoops fan.